Tom works in the Research & Development department of a company that manufactures hot tubs in Alberta, Canada. Wolfgang works in IT and specializes in thin-computing solutions in Michigan, US. Hobbyists with no formal technical or electronics training, the two connected online at http://groups.yahoo.com/ group/beam/ and have never met face to face. Have you ever wanted to take your robot off-road, but find that your current design cannot get off the driveway and onto the grass? If your wheels fail to turn when you hit rough terrain, then your motors are underpowered. If, on the other hand, your wheels are spinning, but your robot is not moving, then you have a traction problem and what you may need is some suspension. By providing a simple form of suspension, a vehicle with a center articulated chassis offers better mobility over rough terrain than a ridged chassis vehicle. The basic idea of a center articulated chassis is to divide the chassis of a four-wheel drive vehicle down the center, yielding a left and right half. Then a fifth axle is added to the vehicle, going through the center of each chassis and connecting both chassis halves together, as seen in Figure 1. 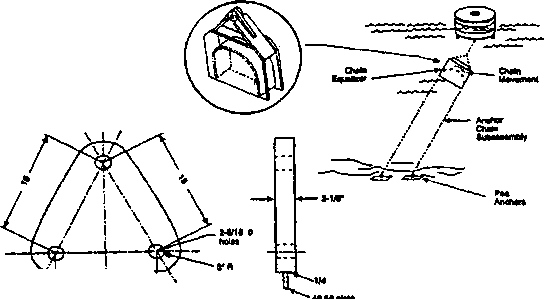 The fifth — or center — axle allows each half of the vehicle to pivot about the center axis. The new, center articulated chassis can now climb over obstacles much better than the original ridged chassis because the center axle allows the wheels to stay in contact with the ground, providing better traction to the vehicle.In this way, the center axle works like a suspension system for the vehicle. A center articulated chassis vehicle can either be purchased from such vendors as Lynxmotion, Inc. (www.lynxmotion .com), or they can be made from scratch. 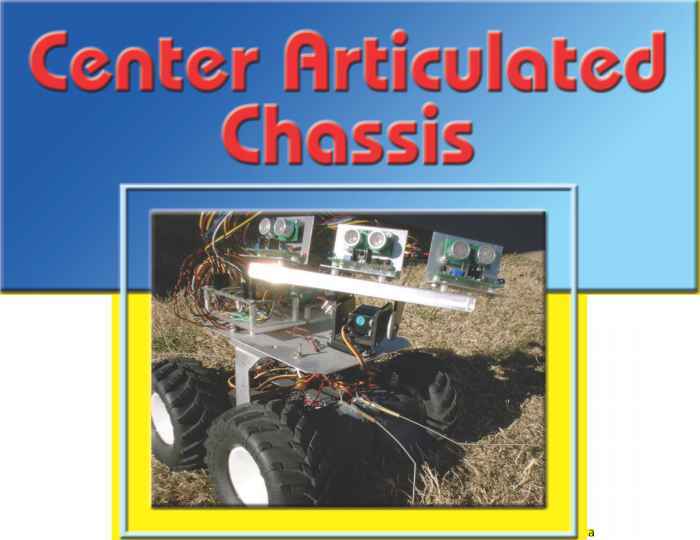 As mentioned before, basic starting point for building a center articulated chassis is a four-wheel drive vehicle. The simplest four-wheel drive vehicle to make is a skid steer vehicle. Simply put, this means that each of the four wheels has its own motor.